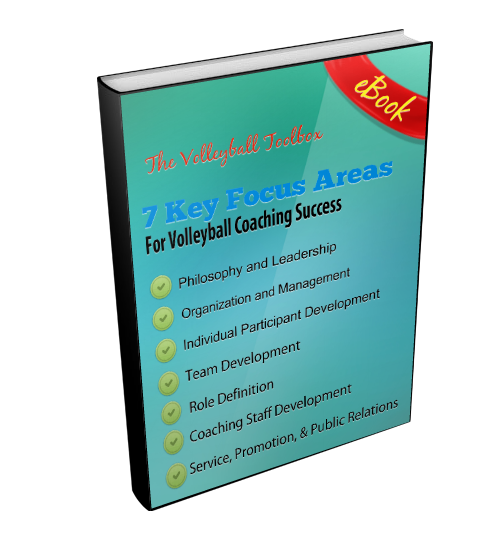 Editor’s Note from Brian: Even though the examples are from other sports, they are with giving some thought to for your volleyball team. Whether coaching, or competing as an athlete, there inevitably comes a time during the season when performance and energy levels dip. Few teams are as fortunate as the record-setting Golden State Warriors in the NBA to be sailing along, seemingly on a smooth path for a deep run in the playoffs. Similarly, in more individual sports, rare is the wrestler, golfer or swimmer who doesn’t have at least a few poor matches, rounds or meets and could benefit from proper support from a coach. As coach Self notes, everyone can be expected to have ‘bad days’. However, these are not slumps. Performance slumps are defined as unexplained drops in performance that go beyond normal performance fluctuations. Coaches can help their athletes avoid, or overcome, a performance slump by first understanding the root cause of slumps. Performance slumps typically can be attributed to physical and mental fatigue. Watch for the natural tendency when struggling during a slump to push athletes with more training and harder workouts. This inevitably only accelerates athlete exhaustion and frustration. The easiest and most effective way to prevent or end a slump is to adjust the training schedule as the season progresses. In fact, legendary basketball coach John Wooden always held his longest practice sessions at the start of the year and gradually shortened practices throughout the season. Although practices can be shortened across the season, the intensity should remain high to help athletes stay sharp. Coaches should also consider replacing some physical practice with mental practice as the season wears on. Standard mental practice techniques include imagery and meditation. For example, after mid-season 90-minute physical practices could be split into 75 minutes of physical practice and 15 minutes of mental practice. Coaches need not fear a loss of conditioning with this approach as long as they keep physical practice intensity high. Furthermore, research shows that when athletes combine imagery with physical practice they outperform athletes who rely solely on physical practice. If an athlete makes a big deal over an ‘off day’ performance, they may fall victim to negative self-talk and come to expect poor performances, and increasingly become more pessimistic. This can lead to learned helplessness – or giving up. Listen to how your athletes talk about poor performance. If they say things like ‘We never can hold a lead’ or ‘I can never make that play’ that shows they are starting to believe the poor performance is an expected and normal pattern. Teach them to acknowledge the poor performance as momentary and fixable, and design follow-up practices to specifically address performance gaps. Finally, teach your athletes that the occasional ‘off day’ is normal but temporary if they don’t panic or lose faith in their training. A great way to help athletes learn this lesson is to let them hear from other athletes who have successfully overcome a performance slump. Consider bringing in former members of the team or reading them stories about famous athletes who have overcome adversity or performance setbacks. This is a valuable strategy for building mental toughness and works particularly well with young athletes who may be experiencing a performance slump for the first time. This was a great article to help me refocus after a tough tri-match. Saturday’s tri was our 4th and 5th match of the week, and I do believe it was due to physical and mental fatigue. Plus we are at the end of the season and need to maintain intensity in the shorter sessions. This helped me regroup as a coach and come back from the 2 losses at the tri after we had had such great performances earlier in the week. The article helped me realize not to dwell on the off day but to help my team visualize a successful game/performance when they are in the middle of an off set so that they don’t panic or lose faith in coming back in the match. It made me realize that I shouldn’t be so hard on them or myself for one off day. Thanks for taking the time to respond and glad it helped!